The U.S. Federal Communications Commission has halted new rules that would require high-speed internet providers to take 'reasonable' steps to protect customer data. 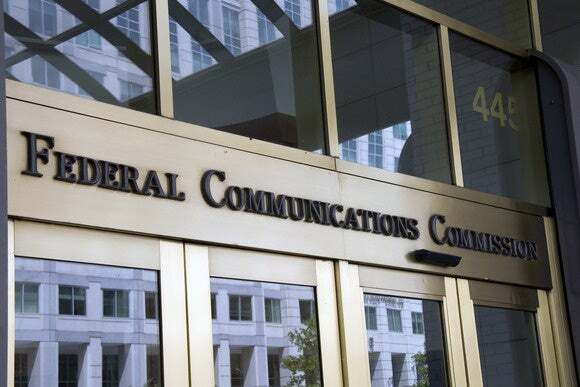 In a 2-1 vote that went along party lines, the FCC voted Wednesday to stay temporarily one part of privacy rules passed in October that would give consumers the right to decide how their data is used and shared by broadband providers. The rules include the requirement that internet service providers should obtain "opt-in" consent from consumers to use and share sensitive information such as geolocation and web browsing history, and also give customers the option to opt out from the sharing of non-sensitive information such as email addresses or service tier information. The data security provisions whose operation have now been halted in view of a stay petition by providers include the requirement that broadband internet access providers engage in reasonable data security practices and provide data breach notification requirements. The rules were to come into effect on Thursday. Internet service providers, however, claim that the regulations place more burdens and costs on them than on other internet entities such as search engines and social networks. “The federal government shouldn’t favor one set of companies over another—and certainly not when it comes to a marketplace as dynamic as the internet,” said FCC Chairman Ajit Pai in a joint statement on Wednesday with Federal Trade Commission Acting Chairman Maureen K. Ohlhausen. Privacy advocates and Democratic legislators are wary that the FCC under Pai, a Republican, may whittle down the privacy rules proposed under the previous administration of President Barack Obama. Pai who was appointed as chairman by President Donald Trump has indicated his willingness to change drastically some of the rules passed by the previous administration. He recently described net neutrality rules, passed two years ago, as a "mistake" that caused uncertainty for the broadband industry. Senators Edward J. Markey, a Democrat from Massachusetts; Richard Blumenthal, a Democrat from Connecticut; Elizabeth Warren, a Democrat from Massachusetts; and Al Franken, a Democrat from Minnesota earlier this week called on Pai not to take any actions that undermine the broadband privacy rules. Pai’s proposal to halt the operation of the data protection provisions “comes despite the mounting number of data breaches impacting consumers throughout this country,” the lawmakers added. “With a stroke of the proverbial pen, the Federal Communications Commission—the same agency that should be the 'cop on the beat' when it comes to ensuring appropriate consumer protections—is leaving broadband customers without assurances that their providers will keep their data secure,” said Mignon Clyburn, the FCC’s only Democratic commissioner, in a dissenting statement. The other provisions of the privacy order are still being reviewed by the Office of Management and Budget under the Paperwork Reduction Act. The stay on the data security provision will remain in place until the FCC can rule on the petitions for reconsideration.